Malappuram district medical officer (DMO) Skeena K said the deceased had been hospitilised with swine flu over the past eight days. Mask to prevent swine flu. 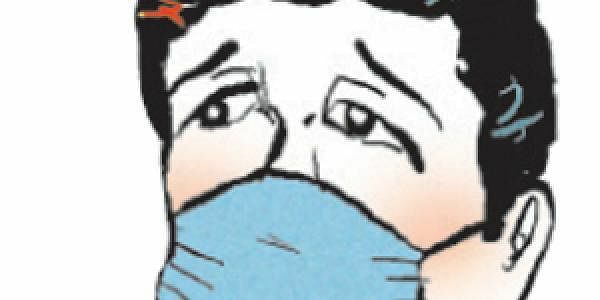 MALAPPURAM: A 39-year-old man from Thavanur, who was undergoing treatment for H1NI flu virus, died of swine flu, at the Kozhikode Medical College, on Wednesday. Confirming the death, Malappuram district medical officer (DMO) Skeena K said the deceased had been hospitilised with swine flu over the past eight days. The DMO, who did not reveal the name of the deceased to protect his identity, said he was first taken to a hospital in Taluk hospital in Tirur with suspected viral fever. He was referred to a higher facility hospital as he failed to respond to the treatment. His swab was taken for test at the hospital, the result of which has confirmed swine flu infection. The DMO said he was taken to Kozhikode Medical College Hospital on Monday for further treatment. She said that it is the third H1N1 case reported and the first death in the district.